You face low productivity and ineffective time consumption in your company, and you wonder how to improve that? 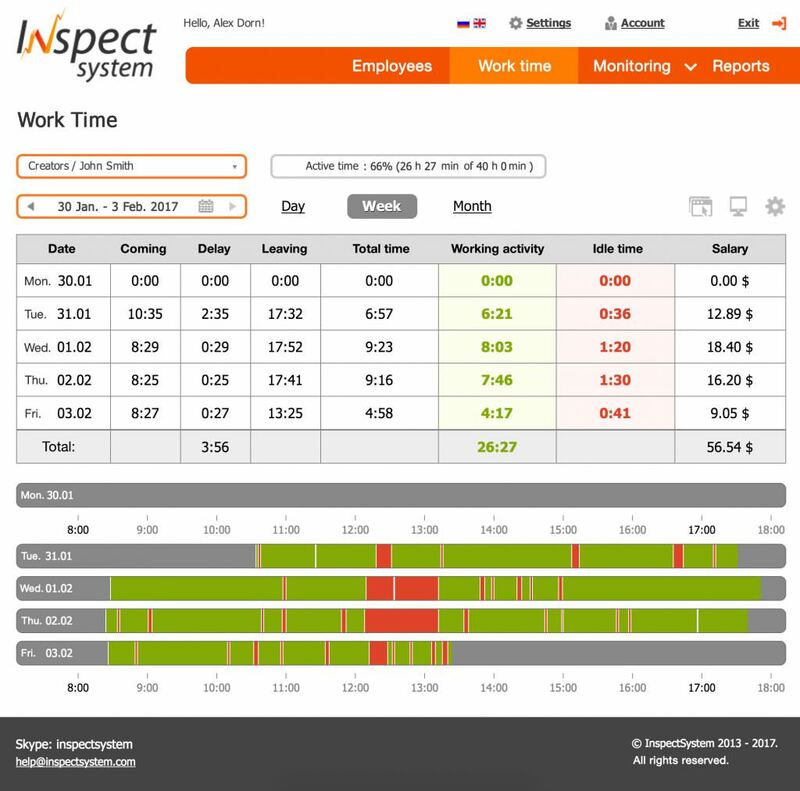 InspectSystem time tracking will increase employee productivity due to non-stop activity monitoring feature. 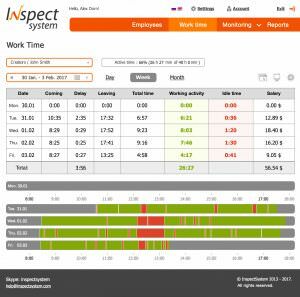 Automated timesheet statistics simplify implementation and use of InspectSystem in business practice. 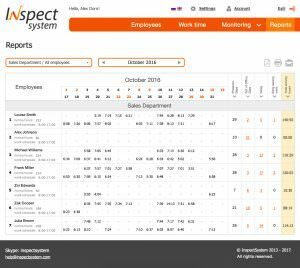 The detailed reports you get will help you mark and control key productivity indicators of your staff. Analyze time spent in particular apps. Reveal time stealers and optimize processes. 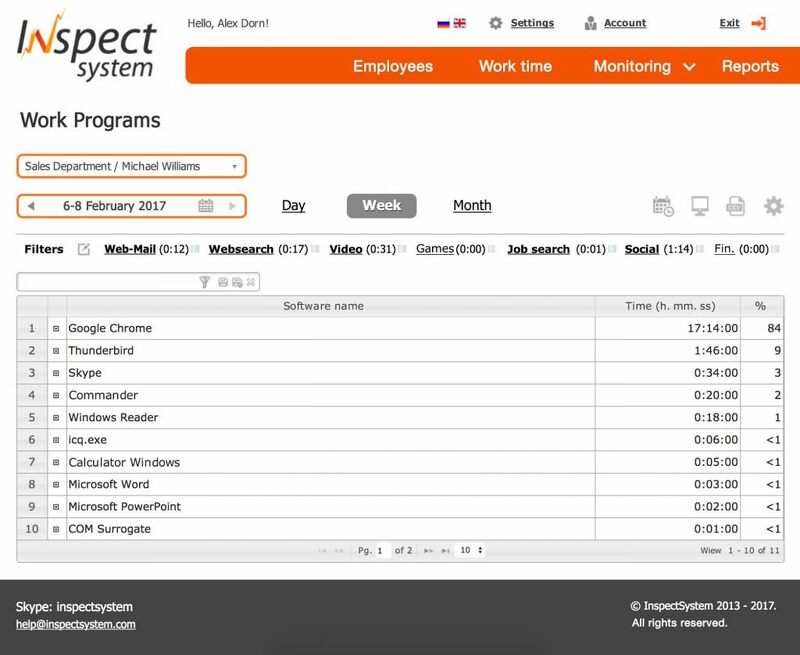 InspectSystem provides detailed statistics of software usage. 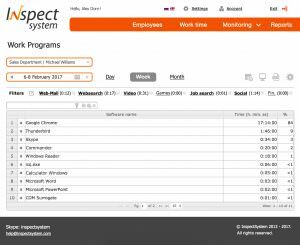 Analyze performance on personal, divisional or company levels. Check if employees follow your corporate rules, and introduce improvements. Set the filters to highlight specific activities. You will know exactly where the precious time is lost: games, video / TV shows, social networks etc. 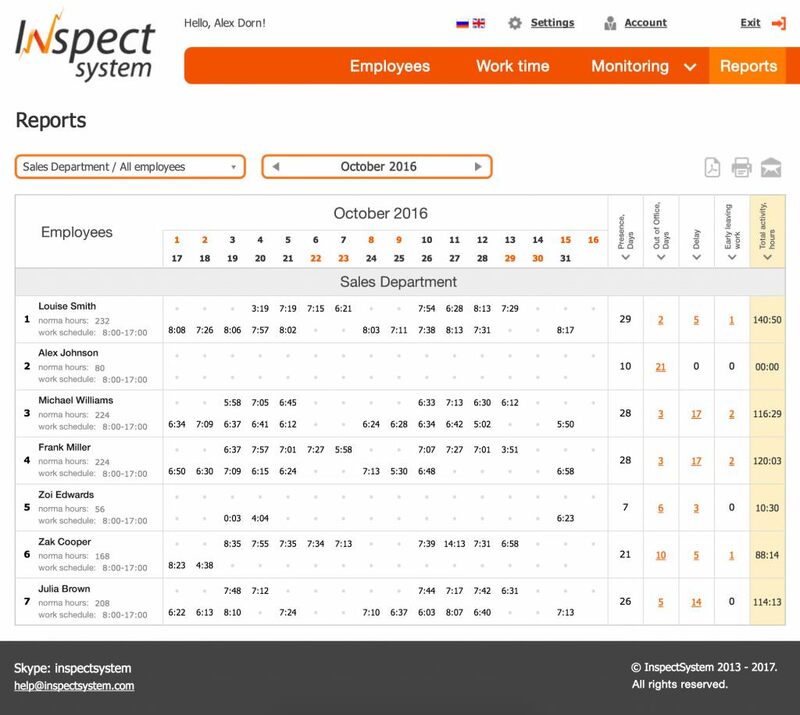 Configure and schedule the reports to be regularly sent to your email. 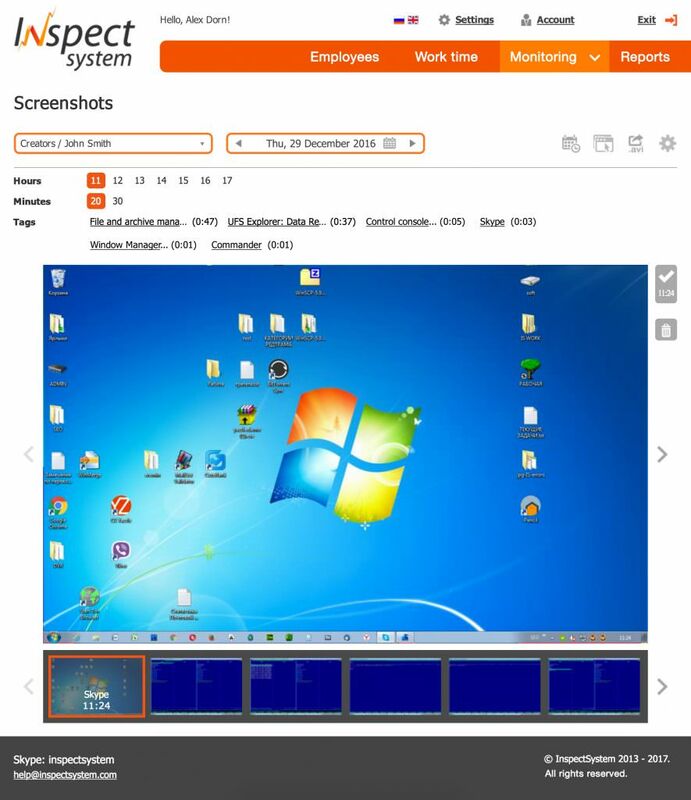 Set up automated screen capture to monitor job progress. A built-in server module converts the screenshots into daily time-lapse videos in AVI format.